In a sea filled with 9mm and .45 ACP, we examine whether or not the 10mm pistol still has a place and where that might be. Home or self-defense, duty or off duty, target or hunting — the 10mm is capable of doing them all. One of the newest and most affordable custom 10mm revolvers is Lipsey’s custom Ruger Blackhawk. Loaded with light- to mid-weight bullets (125-140 grains) the 10mm is a superb self-defense round. 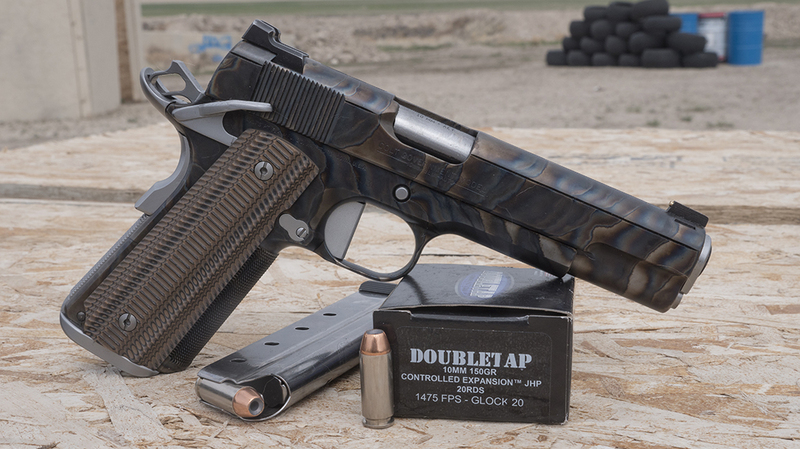 Several manufacturers make new 1911s in 10mm including Springfield Armory’s latest: the TRP. My personal carry Delta Elite gets a steady diet of 155- to 180-grain loads at 1,200-1,500 fps. If you are looking to hunt, the 10mm may be the best semi-auto hunting cartridge on the market today. 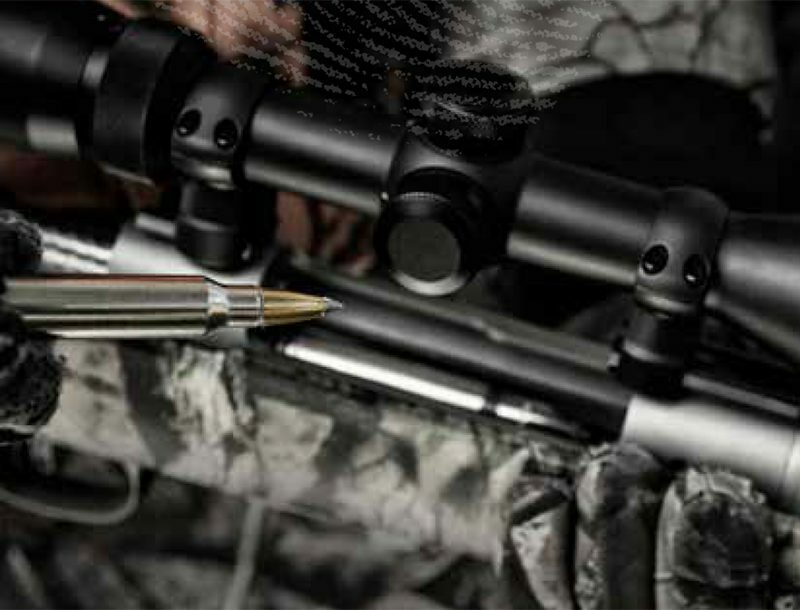 Loaded with 200- to 230- grain hard cast bullets, you can reach impressive levels of penetration for larger game. A Republic Forge 6-inch built specifically for handgun hunting. 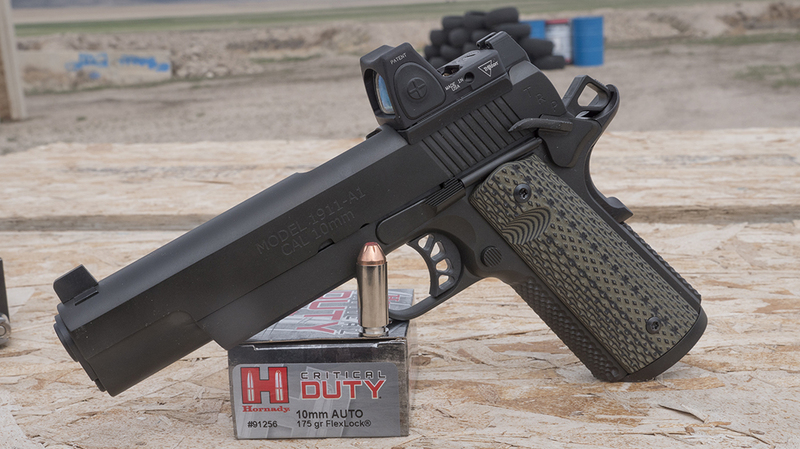 Colt’s Delta Elite is the most prolific platform for the 10mm. 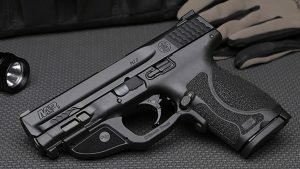 Smooth, strong, and built to Ruger’s standards, it is an excellent hunting handgun that is easy to carry. Some “dead” cartridges just seem to stay alive; the 10mm is the perfect example. Specifically, let’s examine the 10mm pistol. Having used the 10mm for more than two decades, its demise has been repeatedly predicted but has never actually occurred. Carried on duty, concealed, for SWAT and occasional hunting, it remains a favorite. Roughly the ballistic equivalent of the .41 Magnum revolver cartridge — another one that won’t die — it has maintained a following since its very inception. Popularity has ebbed and flowed, but it’s never waned. In fact, it keeps rising. Once limited to a couple handguns, there are several offered today, more each year. Commercial ammunition once sparse is widely available in numerous loads from major manufacturers. It has become one of the most versatile pistol cartridges you can use; one reason it’s still around. But what role does it really fill? The 10mm’s biggest strength is the ability to wear almost any hat a pistol round can. 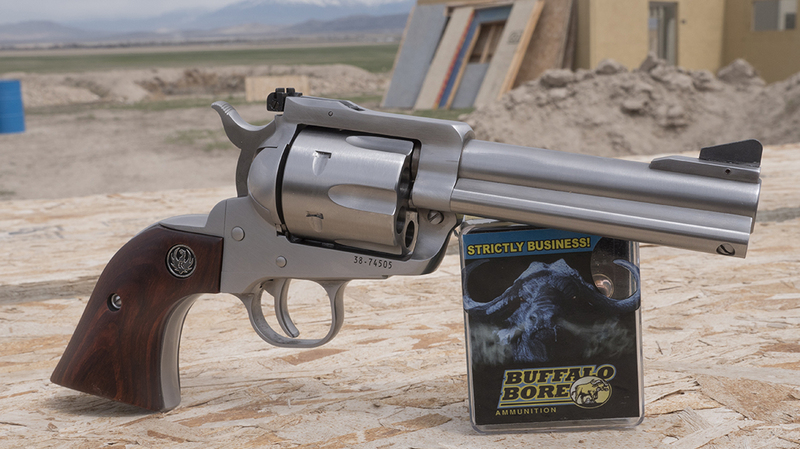 Loaded with light- to mid-weight bullets (125-140 grains) it’s a superb self-defense round. With 125-grain controlled expansion ammunition, it delivers impressive energy with controlled penetration and devastating wound channels. 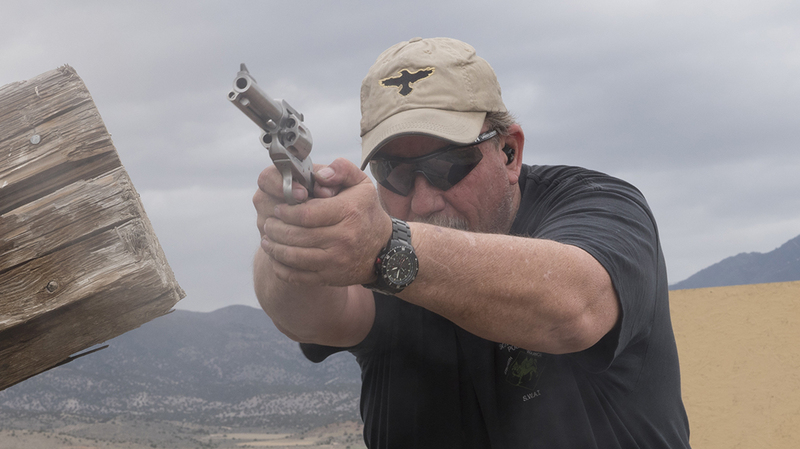 Even at very high velocities — many at more than 1,500 feet per second — recoil remains almost light. Move to the 150-160 grain loads and you get more energy and greater penetration, especially through media with only a slight increase in recoil. 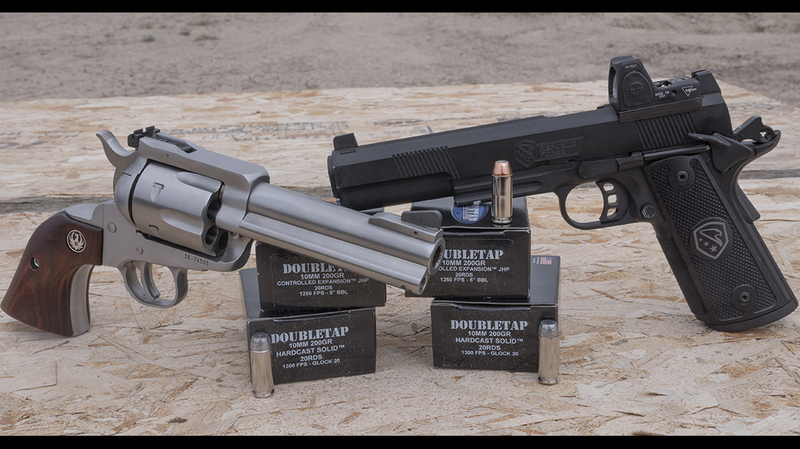 Companies like Doubletap Ammunition, Buffalo Bore and Underwood manufacture some of the best 10mm self-defense and duty ammunition you can field. Barnes makes an excellent 155 grain TAC-XP in its VOR-TX line that performs incredibly well even at lower velocities (1,200 fps). It’s perfect for older 1911 pistols. Hornady does much the same thing with its Critical Duty line using a 175 grain bullet at 1,150 fps from a 5-inch barrel. 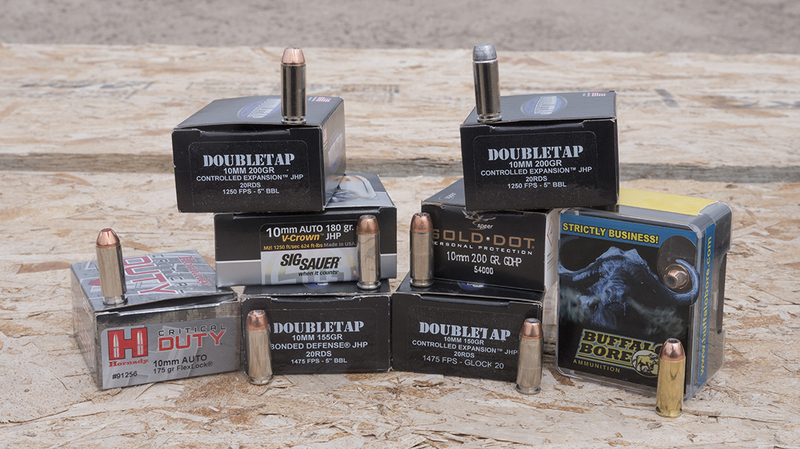 Doubletap Ammunition makes its own 200-grain hard cast bullet designed specifically for deep penetration and 100 percent weight retention at 1,300 fps. It has been used to take Cape buffalo using a 6-inch 1911 more than once. Move to a revolver and you can hand load even more impressive rounds that remain very controllable. Use the correct load and the 10mm will excel in semi-automatic pistols, revolvers and even submachine guns. For years the FBI Hostage Rescue Team fielded HK MP5/10s chambered in 10mm. It may very well be the best subgun cartridge ever used. Recoil is minimal allowing for solid control with pinpoint accuracy. Using one many years ago, I put 20 rounds into less than two inches at 50 yards from a kneeling position. Given its 8.85-inch barrel, it easily penetrates a number of barriers using the correct ammunition. Modern pistol caliber carbines are starting to build in this caliber and they can be impressive. 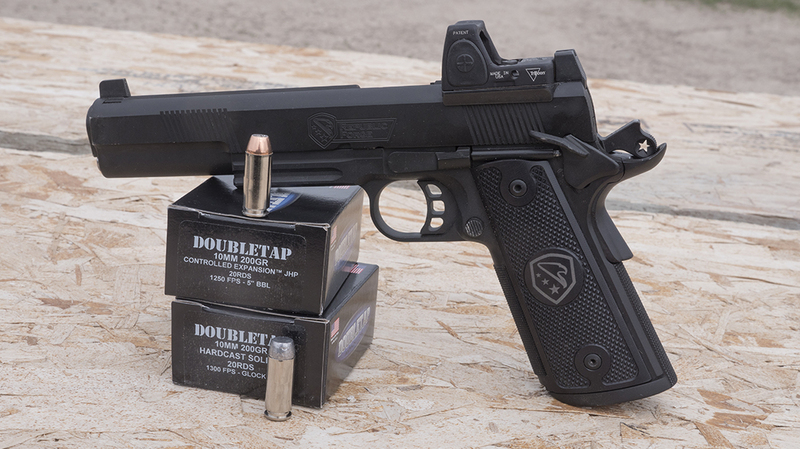 Colt’s Delta Elite is the most prolific platform for the 10mm. It is followed by the Glock 20, Glock 29 and the latest Glock 40 using a 6-inch barrel. 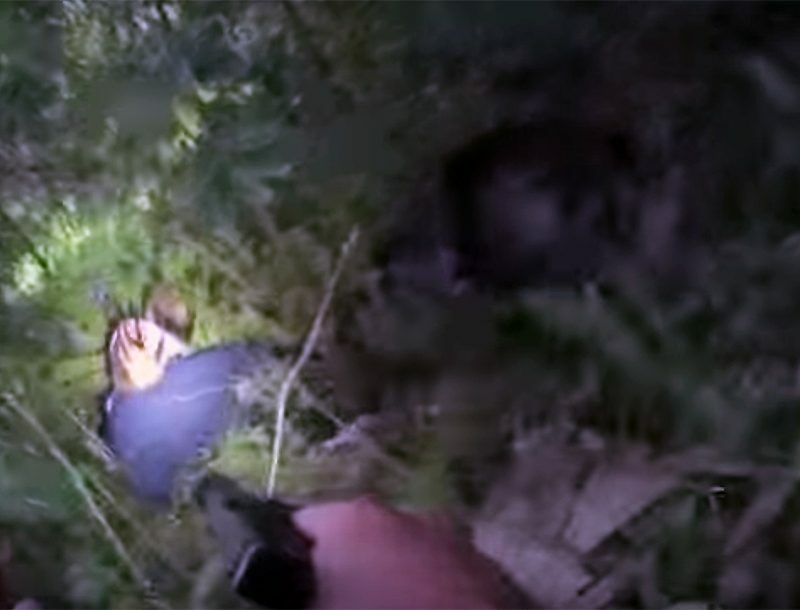 Glock 20s are currently used by agencies in Alaska as a primary pistol. I carried one for years as my duty weapon. Glock’s 40 MOS allows the use of an RDS and is perfect for hunting hogs or any number of game animals. Tanfoglio made one for years and it became a very popular competition pistol. 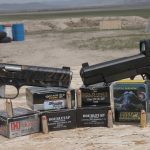 Several manufacturers make new 1911s in this caliber including Springfield Armory’s latest: the TRP. Early Colt Delta Elites benefit from the light loads, but modern 1911s are all capable of shooting the heavier and faster loads. My personal carry Delta Elite gets a steady diet of 155- to 180-grain loads at 1,200-1,500 fps. It has received that treatment for years with no issues. 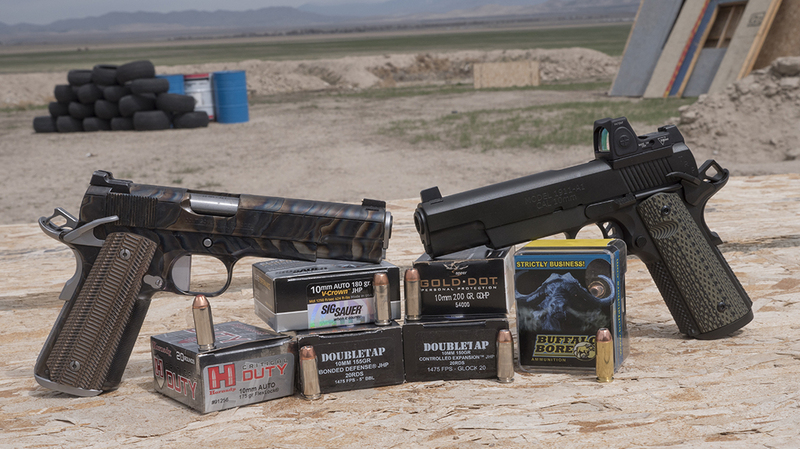 Custom 1911s chambered in this caliber seem to grow in numbers every year. Revolvers are a perfect platform for this caliber. Smith and Wesson’s Model 610, although out of production, remains very popular and garners impressive prices. Custom revolvers in both single- and double-action are common. One of the newest and most affordable is Lipsey’s custom Ruger Blackhawk. Available in both a 4.625- and 6.5-inch barrels, it includes a .40 S&W cylinder. Practice all your single action skills with what has become inexpensive and available .40 caliber and take the 10mm to the hunt. Smooth, strong, and built to Ruger’s standards, it is an excellent hunting handgun that is easy to carry. Need a dependable back up in the back country? This may be it. Many experienced guides prefer a single-action revolver and this one packs a true wallop at a retail price that won’t break the bank ($875). So where does the 10mm pistol fit? Just about anywhere. The only place it really does not seem to work is as a compact. 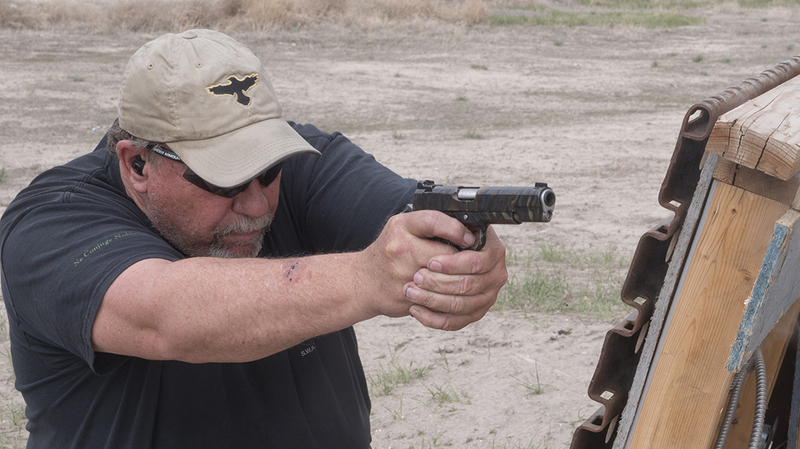 A few commander-sized pistols have been made, but recoil is pretty intensive. For anything else there is a 10mm that will fit. Concealed carry, home and vehicle defense, duty, tactical teams, hunting — anywhere you need or want the power this cartridge brings to the table. Few cartridges can go from the holster to the hunt with nothing more than a magazine swap. Give it a try. You will be surprised.